MID Strobe Light Visual & Audible Alarm. 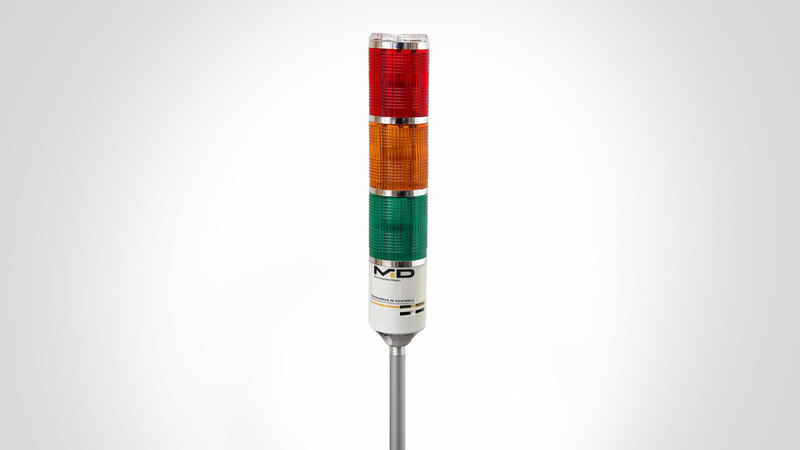 MID Stack Light Visual & Audible Alarm. Other Supportive MID Auxiliaries to make application process even better. The Alarms are part of the Alarm/Warning kit, and can be had as part of the kit or as a stand-alone option. 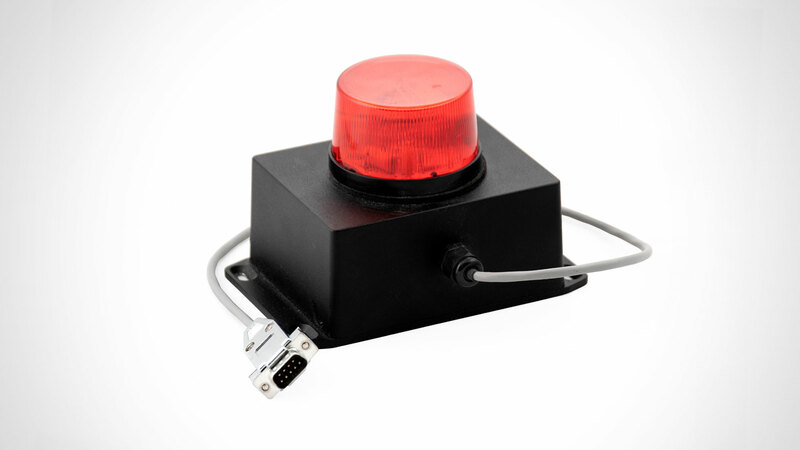 The Alarm consists of a Strobe or Stack light and can be coupled with our audio signal device as an additional option. The Alarms are meant to be mated with our liquid color dispensing systems (Midexx, Traxxon, and Kolsyn) in order to notify about “Low level”, “No Flow?” and “No Fill” events. A “Low Level” event occurs when the container weight being used drops below the low/minimum level setting as programmed into the dispensing system. A “No Flow?” event occurs when the system detects zero flow of material in a unit that is operating in gravimetric mode. A “No Fill” event occurs in MIDEXX-3D and MIDEXX-MC2 when the re-fill does not happen within a predetermined time.